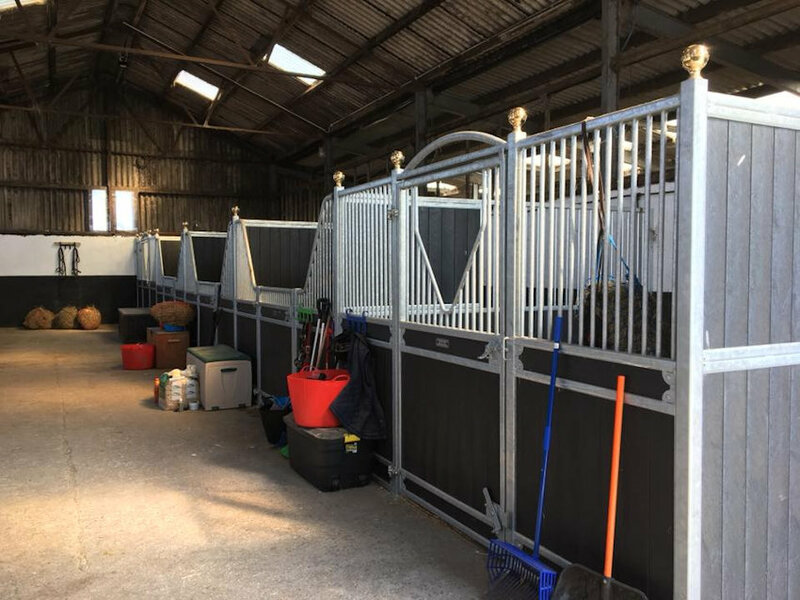 Yellow Hill Equine Construction are barn and stable building specialists, manufacturing and fitting bespoke high quality internal stables, American Barn stables, indoor and outdoor riding arenas, turnout and lunge pens, horse walkers and equestrian facilities. 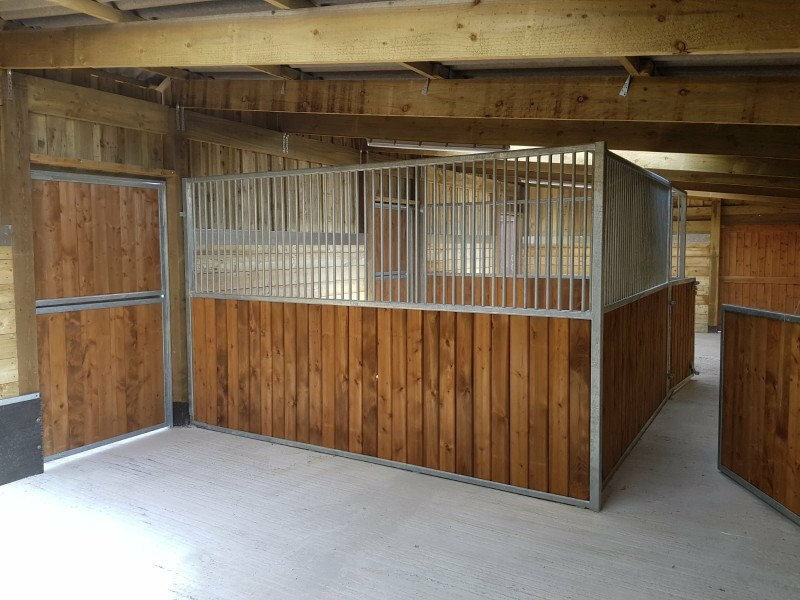 Here at Yellow Hill we pride ourselves in our attention to detail, we don’t expect you to make a standard partition fit your space, we make the stables fit the space. 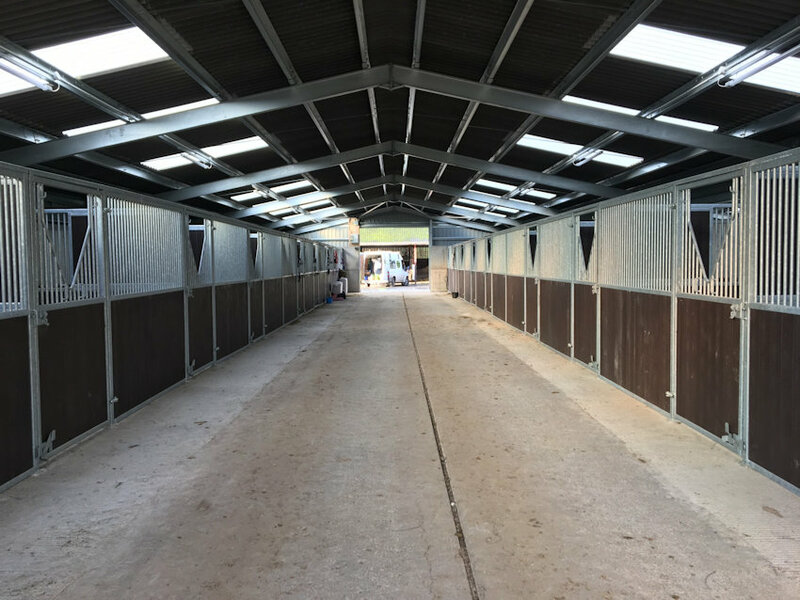 We have first hand experience of what is required to manufacture stables that will stand the test of time and look fantastic for many years. 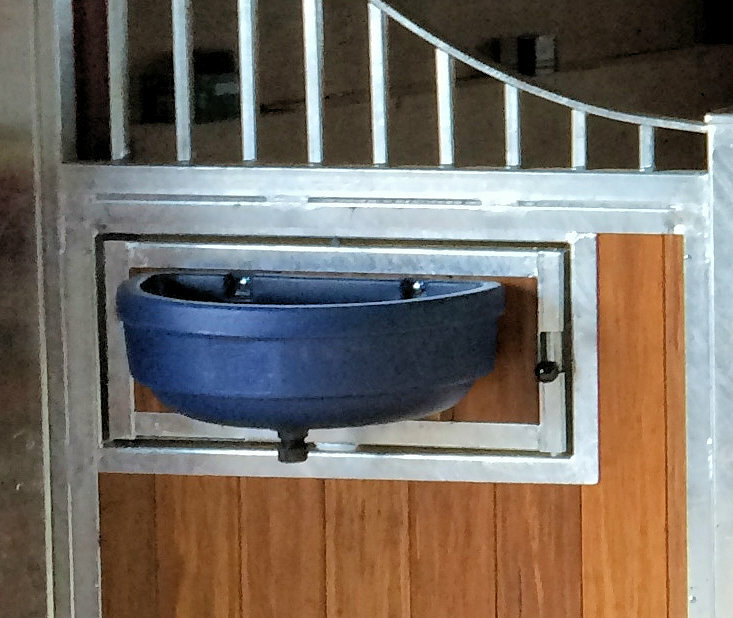 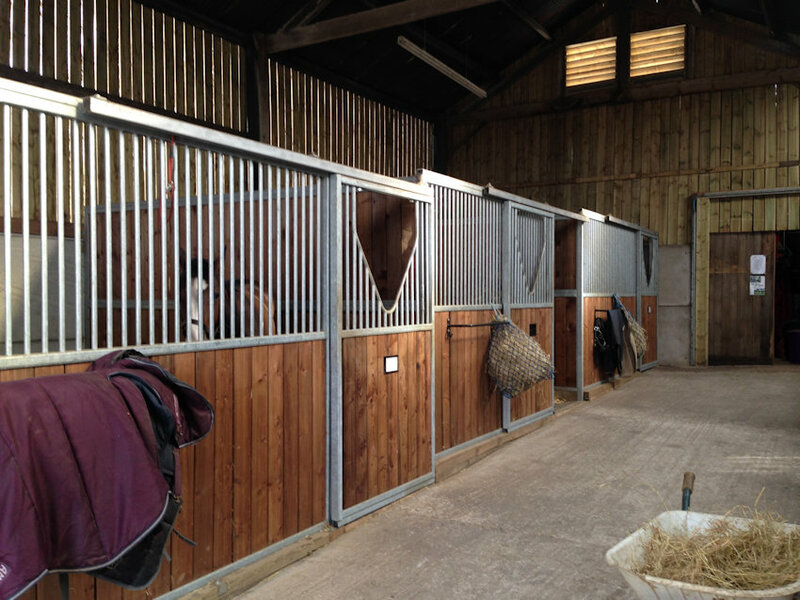 Whether you are looking for a standard stable or something completely bespoke in design. 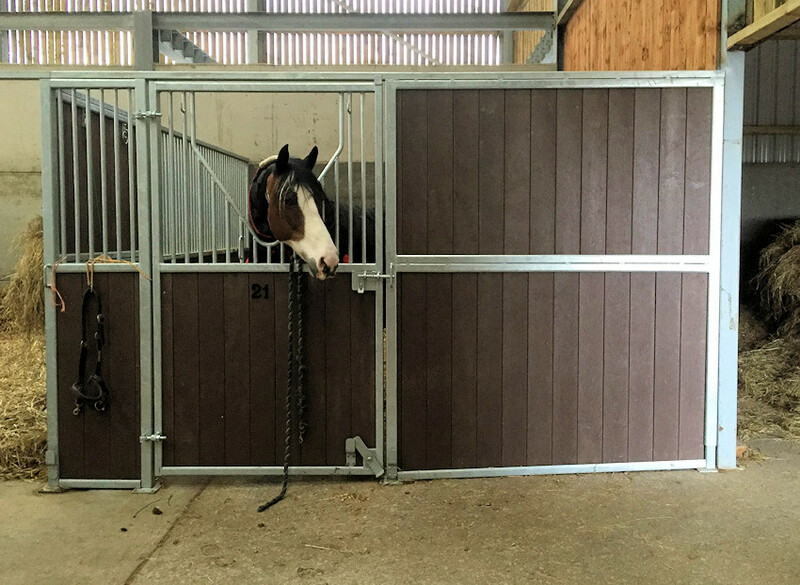 We offer various stable options including: anti weave doors swinging or sliding, half doors, full boarded partitions, split partitions, split partitions with feed blockers in, tie up rings both surface mounted and recessed and so this list goes on please take a look at our gallery below to view the options. 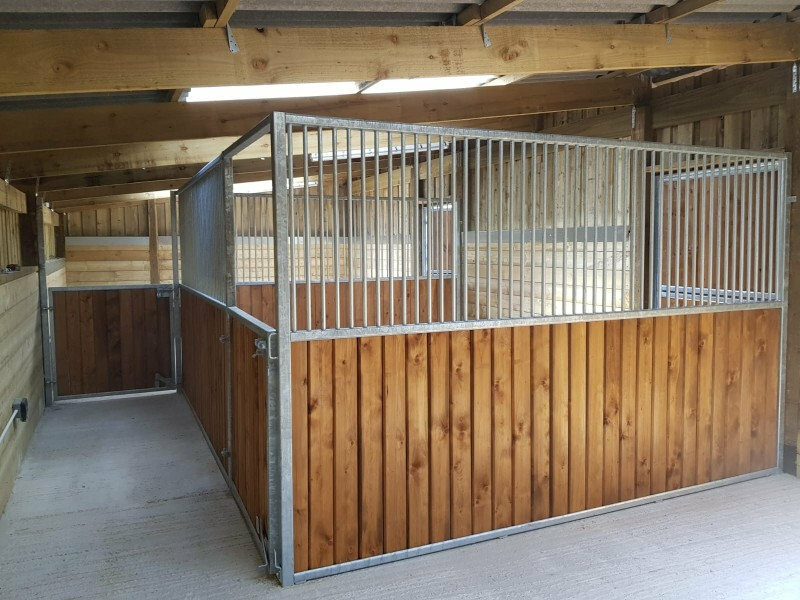 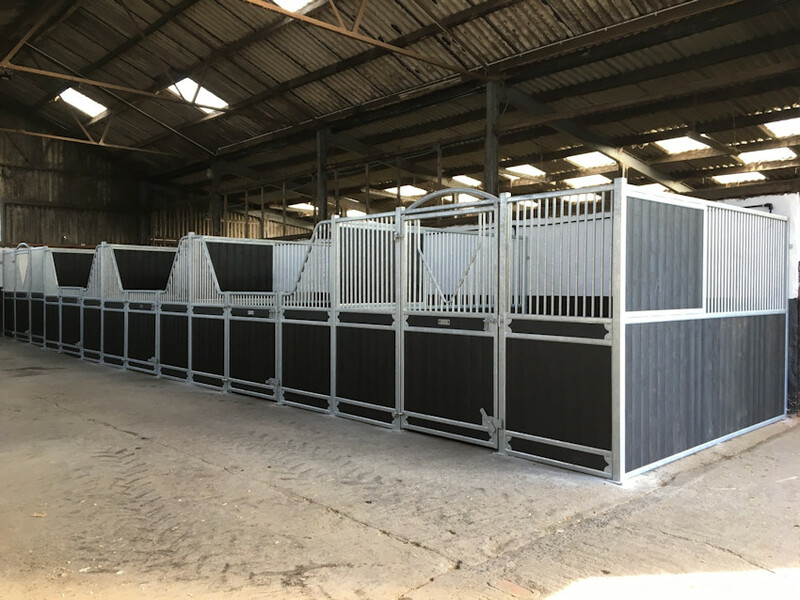 All our standard stables are built from 60×60 steel box section and 60×45 c-sections with 25mm tubes for the bar sections though varied stable sizes / specifications will see the steel changed to suit. 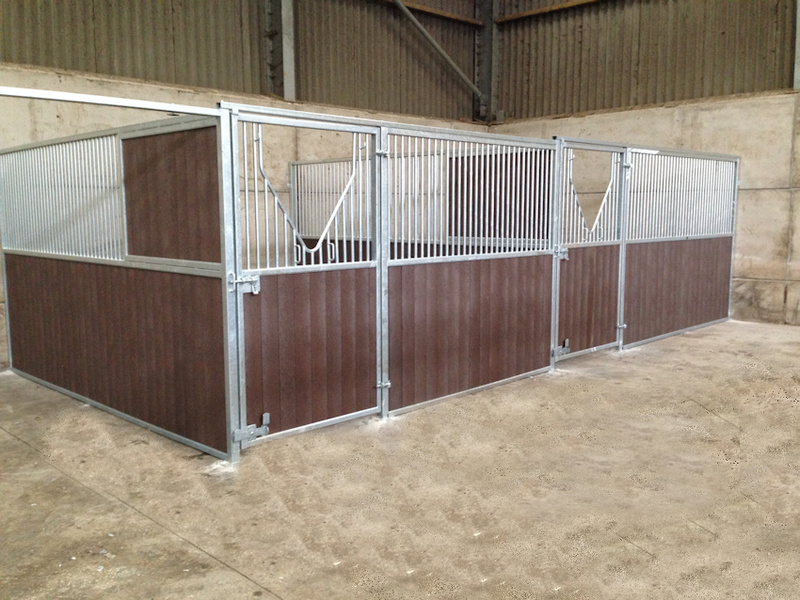 All our steel work is also hot dip galvanised. 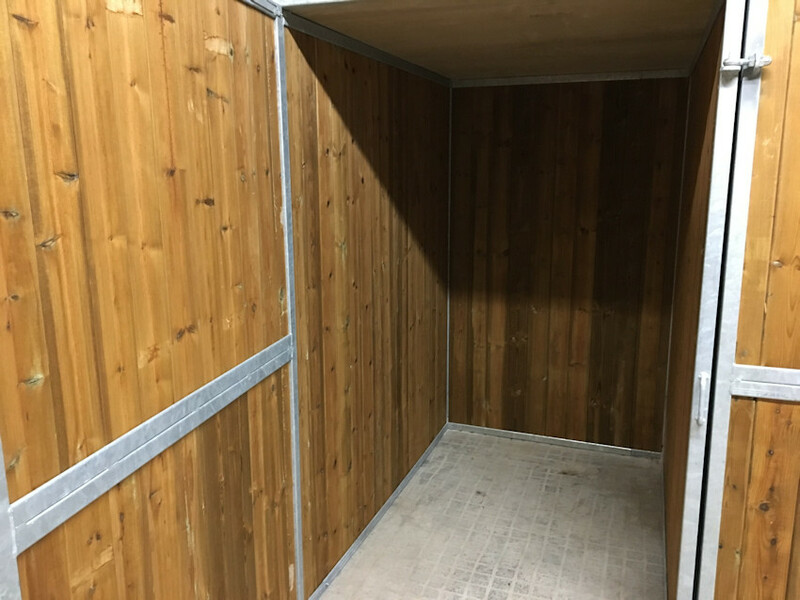 We then offer a choice of pressure treated softwood finished to 35mm, hard wood or a recycled plastic tongue and groove board in a range of colours at the same thickness. 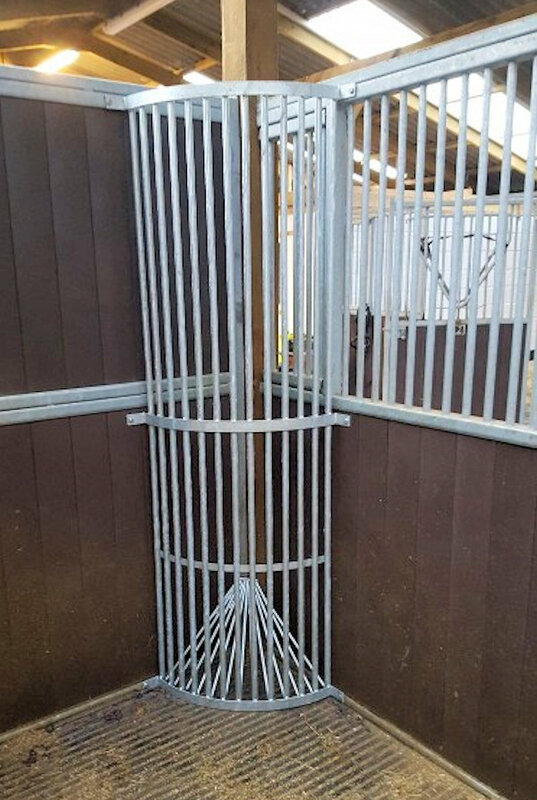 Our standard heights are 7 ft 6inchs but we are happy to build to any height and can also go higher on the steel specifications to suit. 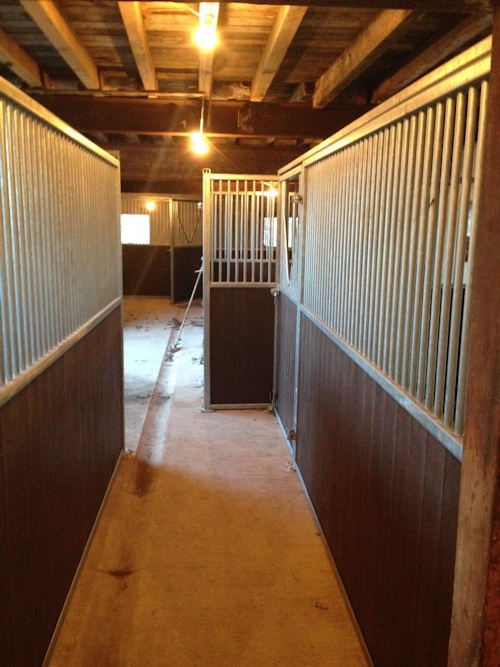 We also work varied floor levels and can step our stables to suit falling levels. 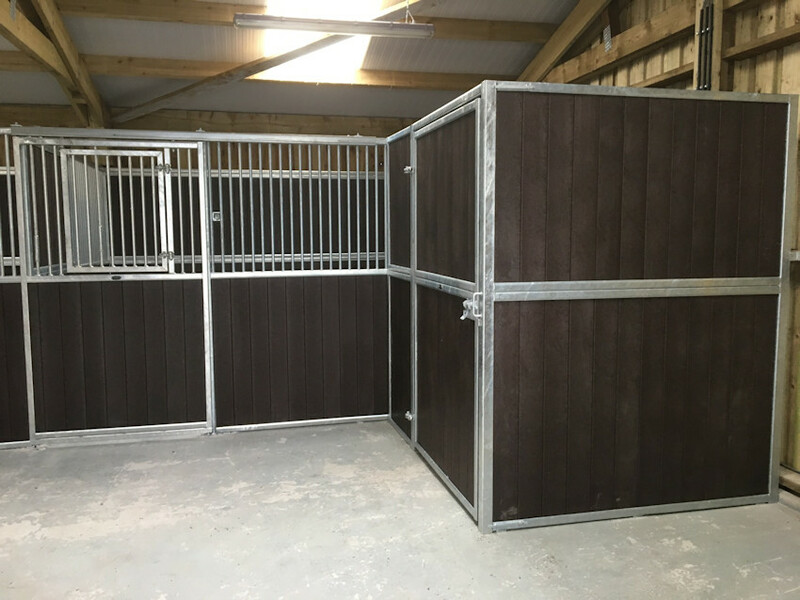 PRICES for Delivery and installation are calculated on an individual basis due to the many bespoke options. 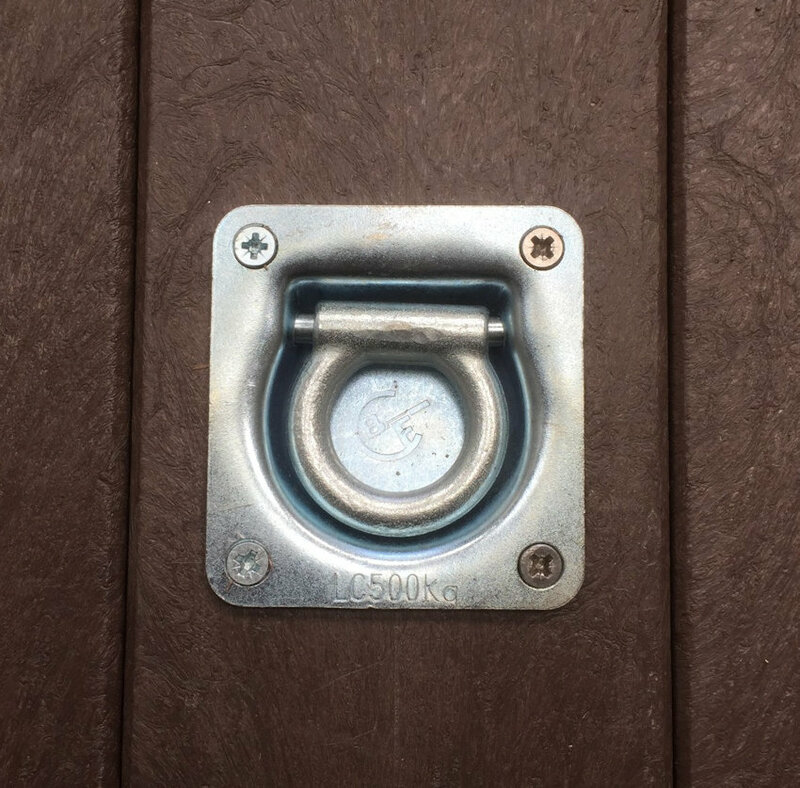 Discounts are available dependent on the number ordered. 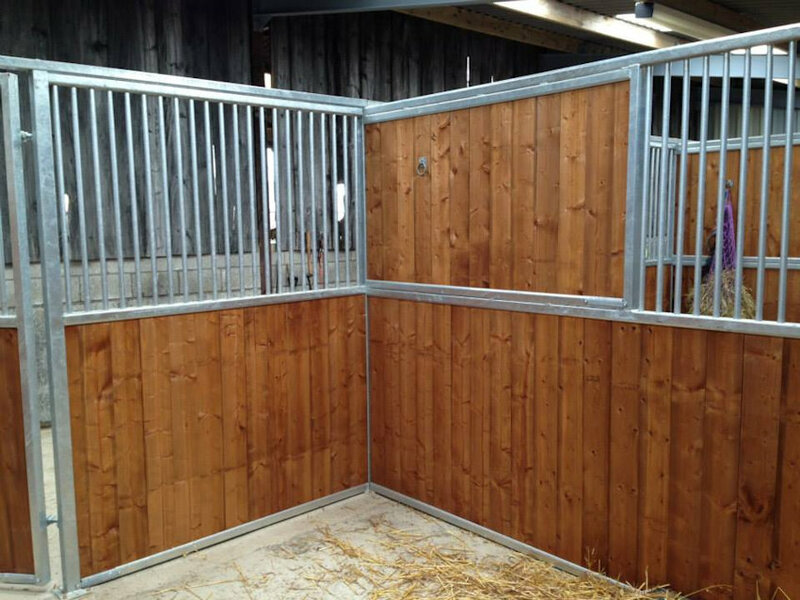 We are happy to offer a price match for a comparative quote - please call to discuss. 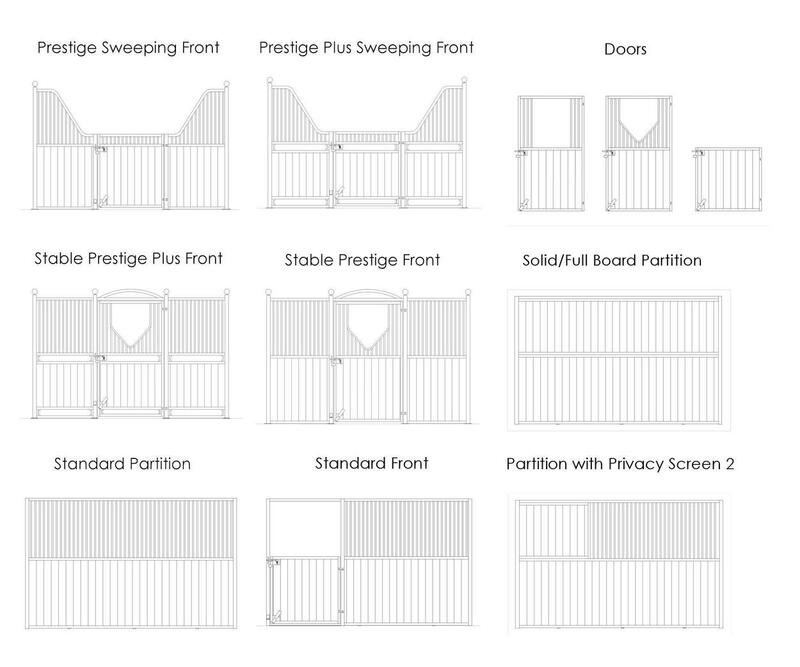 Prestige Prices are for the Prestige sweeping front not the Prestige Plus, please call for details of Prestige Plus. 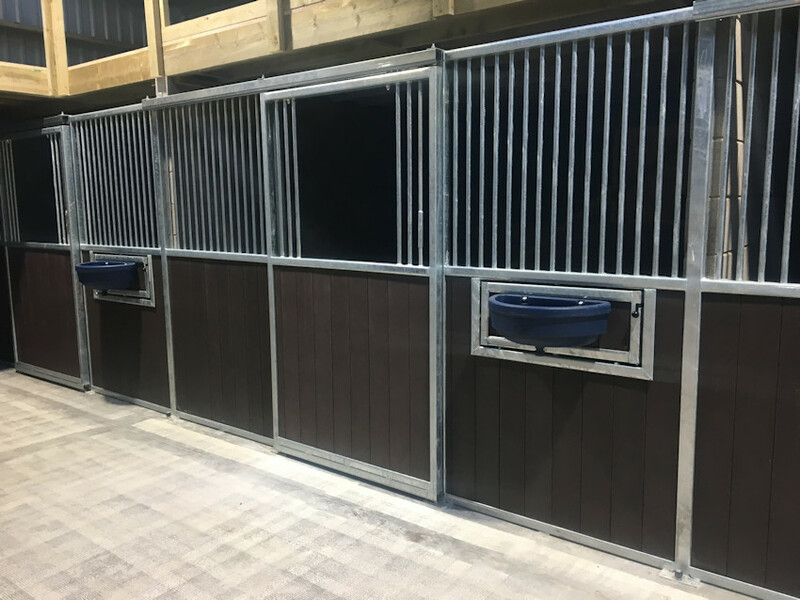 We can offer lots of different options including sliding doors, pirvacy screens on partitions, finials, swivel mangers, drinkers etc., etc. 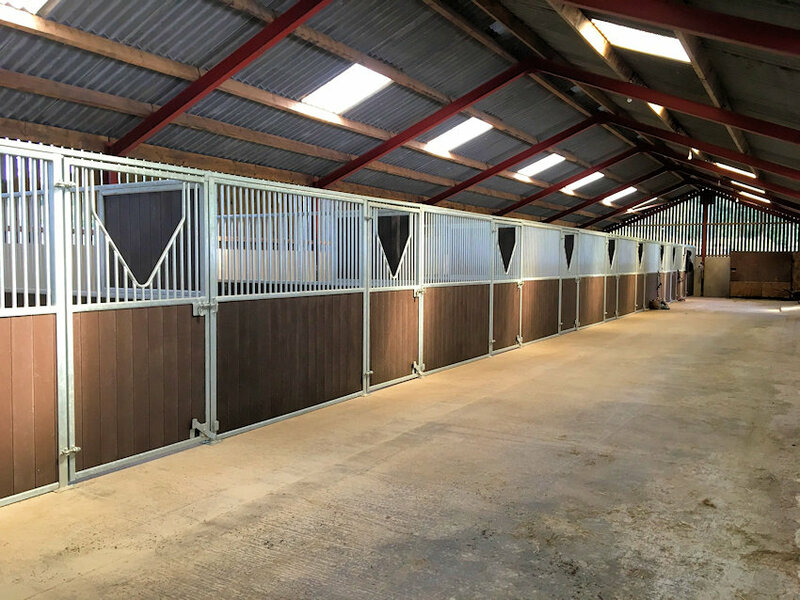 Please get in touch to discuss your ideas. 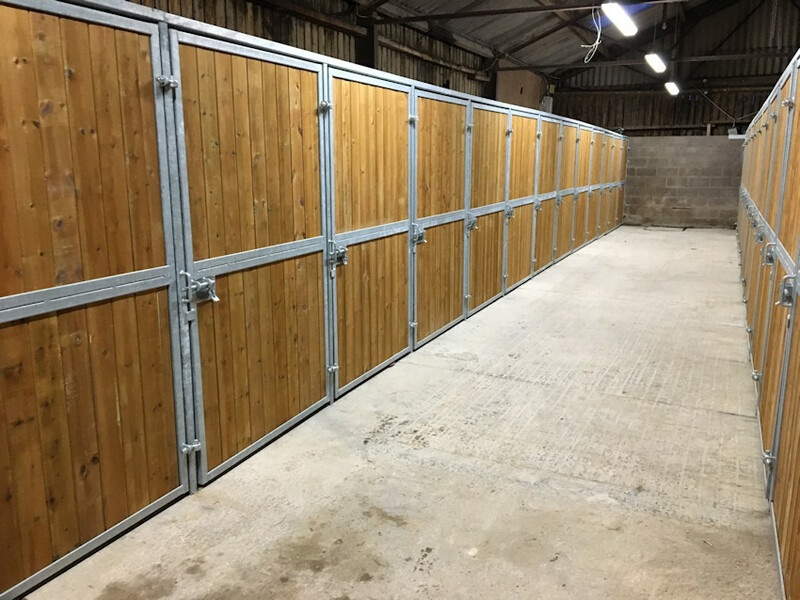 Whatever size your project is, we can make it happen..
we can cater for your needs, sweeping fronts, central doors, offset doors, split front doors, the list goes on. 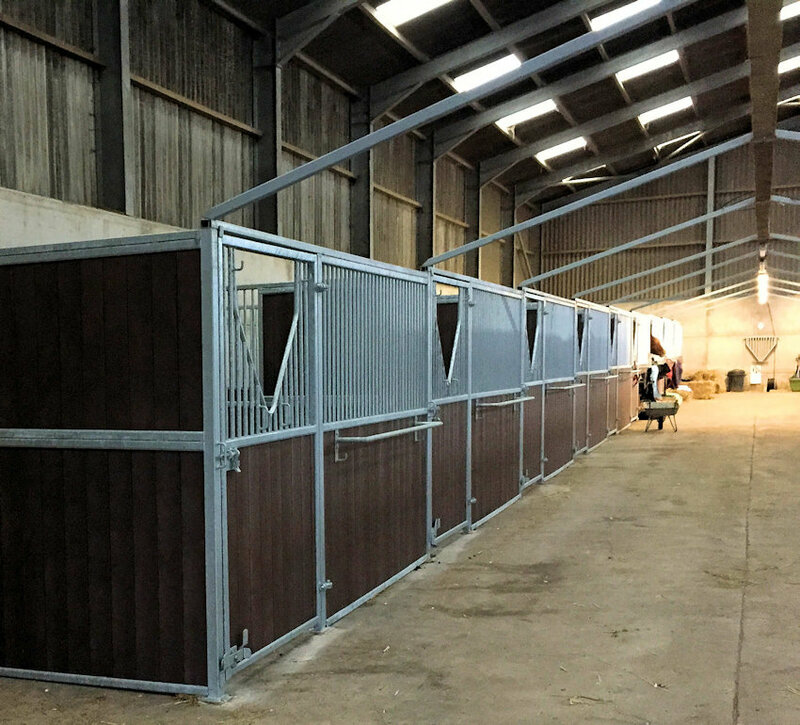 Please get in touch to discuss your requirements and get a quote. 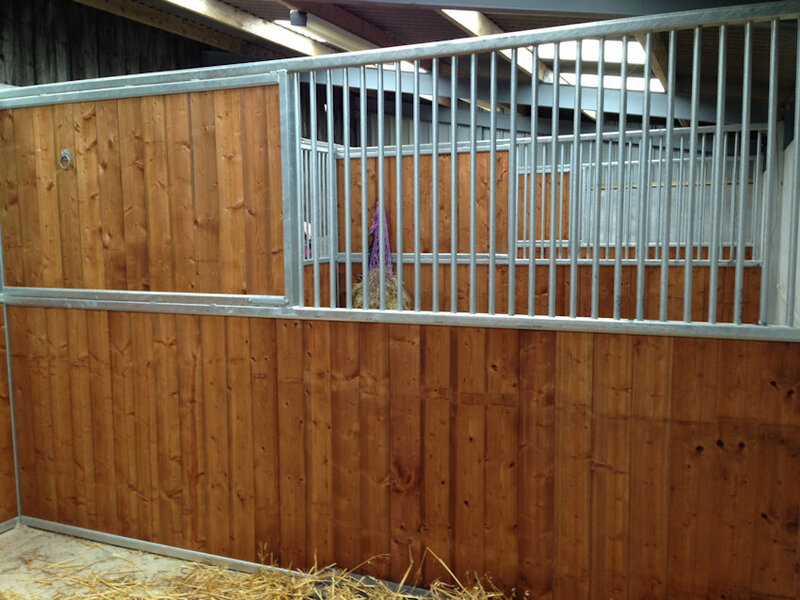 Yellow Hill Equine Construction Lancashire, barn and stable building specialists, manufacturing and fitting bespoke high quality internal stables, American Barn stables, field shelters, indoor and outdoor riding arenas, turnout and lunge pens, horse walkers and equestrian facilities for horse racing, competition and livery yards, stud farms and private stables.